The people behind our mission are passionate, inspired and dedicated towards supporting disadvantaged communities across the globe. They’re at the heart of what we do and every single day are working hard with our community partners in ensuring long-term and sustainable development programmes. 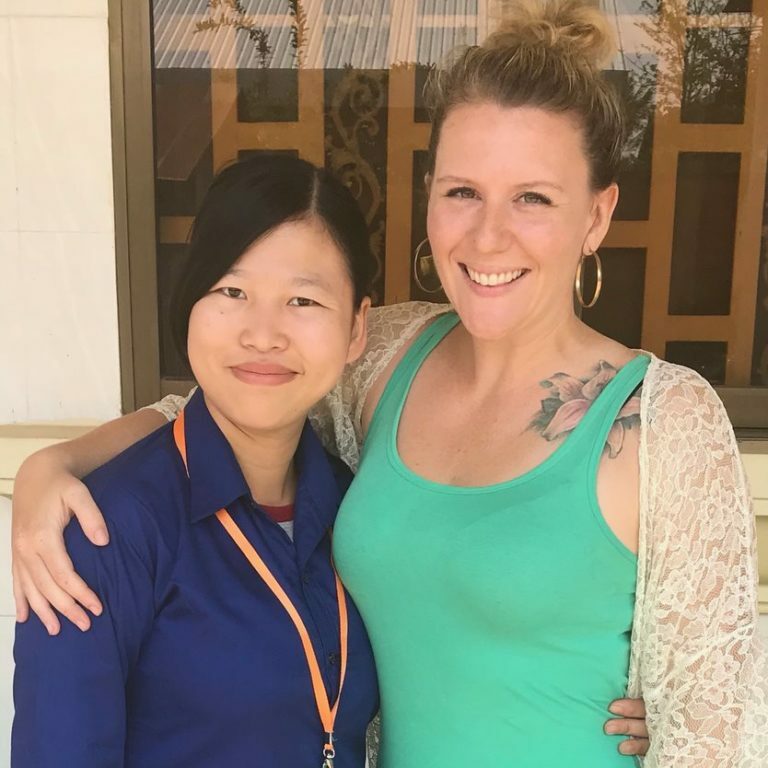 Our Cambodia team is led by Sarah Morgan (right) who is the Country Operations Manager and supported by Khanchna Heng (left) who works as the Country Coordinator. Sarah’s background in International Development and Service has not only allowed her to travel and live in many countries but has also deepened her understanding of developing strategy and impact in community. Khanchna brings cultural insight and context to the development and maintenance of our programmes, whilst cultivating relationships with local partners. 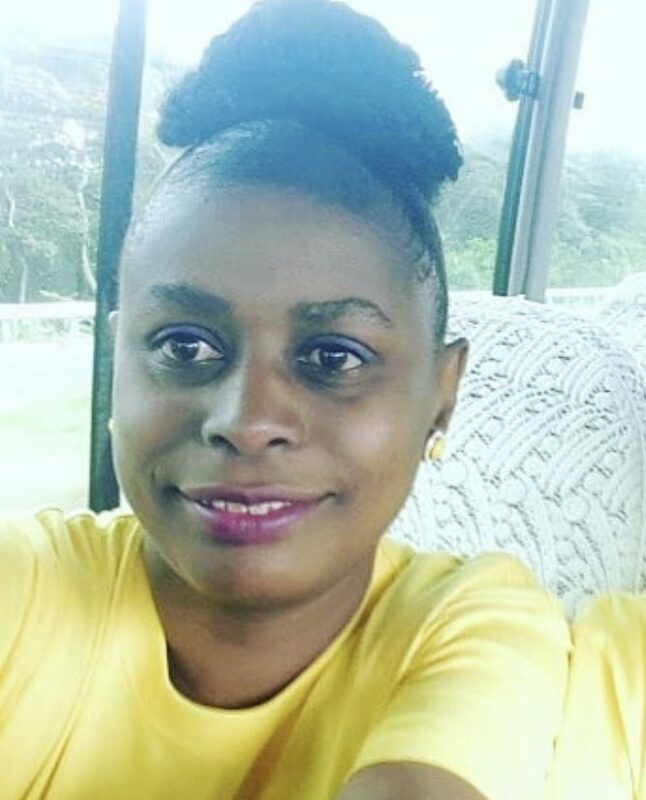 Her background in education and recent graduation from university as an English teacher lends strongly to our education-based activities and how we can continually engage young students with quality education. The Thailand team is led by the Country Operations Manager, Victoria Eriksson (back left). Originally from Finland, Victoria has a Master’s Degree in International Relations with a strong focus on child welfare and sustainable development, linked to education. Joseph Waller (back right), is the Program Manager, with a background is in Sociology as well as Science and Technology. He has previously worked as an English teacher in Thailand. His passion for sustainable community programmes lends well to the Thailand vision. James (front middle) is the Thai team Hub Coordinator and works to ensure cohesive partnerships for programmes and operations for the hub. She comes from the Thai team’s oldest hill-tribe village partnership Pa Pae, and brings a wealth of cultural insight. Mork (front left) is the Partnership Coordinator, with a Bachelor’s Degree in Sociology and Anthropology from Bangkok, she has moved back to her home town of Mae Sariang to help us in better supporting our partners’ needs. 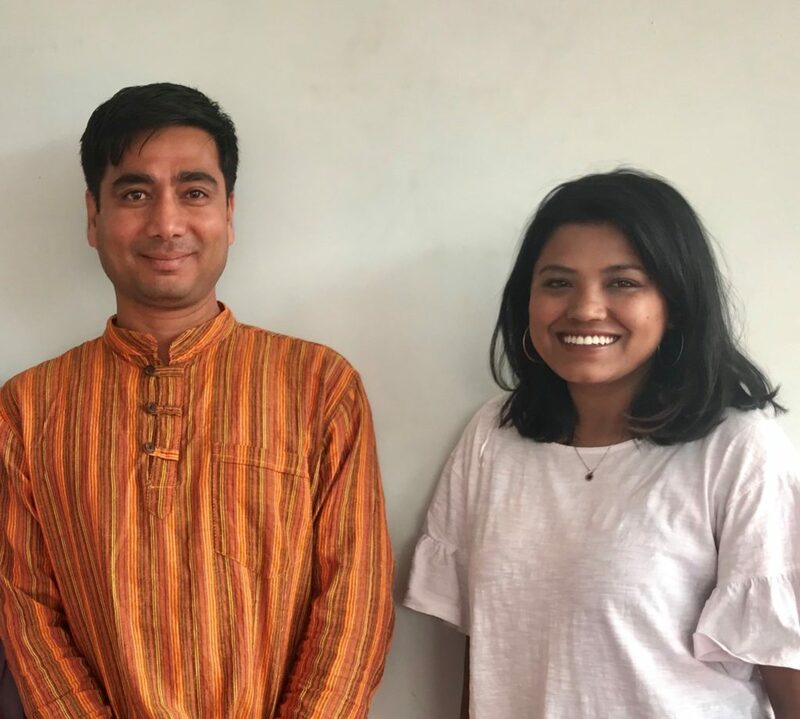 The Nepal team is led by Om Baral (left), who is the Programmes and Partnerships Manager for Nepal. Om has grown up in Pokhara, in western Nepal and has a diverse background with a Master’s Degree in English Literature and Bachelor’s Degree in Education. More recently he has completed a Masters in Community Development from Murdoch University in Australia. Om brings a wide range of experience to the role, having worked as an English teacher, before working for a Dutch NGO as a Community Development Worker supporting community schools. Om is supported by Neeru Tuladhar (right), who is our Programme Coordinator for Nepal. Neeru has worked within the NGO sector and managed development programmes in various parts of Nepal before joining FutureSense. She loves working with young people and amongst other things loves travel and reading! The India team is led by Col Ravi Sharma who has now retired from the Indian Army. 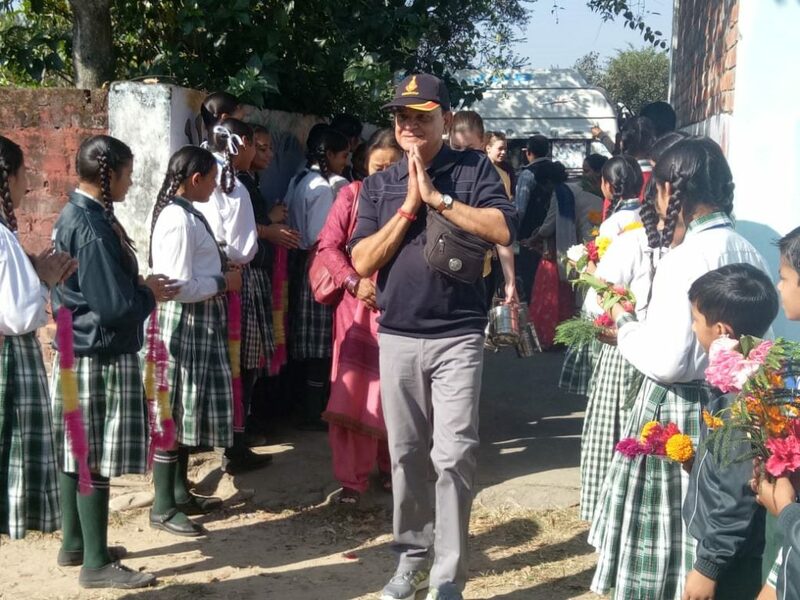 A science graduate from Punjab university and with a career in the army spanning over several decades, Ravi has a wealth of experience working with young people and in helping and guiding them with learning. In his role as Programme Director, he is responsible for the programmes that are delivered in Palampur. With his knowledge of the local area and people, he can harness the skills of volunteers and use them in long term programmes that are of benefit to the community. The Peru team is led by Antonio Raunelli, who is a Peruvian national with extensive travel experience having visited England, Spain, Germany, Serbia, Croatia, China, Austria and Brazil among many others. Antonio grew up in Lima, Peru and Santiago de Chile, and spent several years travelling and living mainly in Europe. 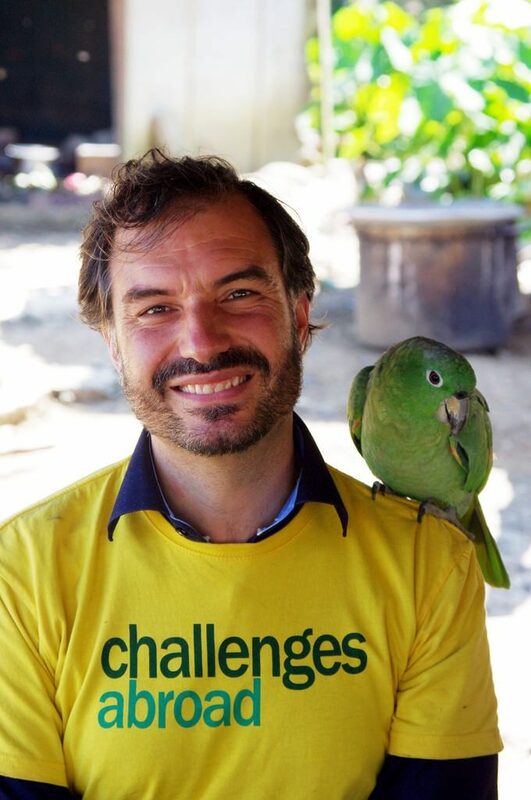 He is deeply passionate about helping people in developing countries to improve their quality of life while exploring new areas, trying local traditional foods and expanding his own thinking. The Tanzania programmes are coordinated by Elizabeth Thomson, who is a local from the town of Arusha where our programmes are based. Elizabeth is a University graduate and has worked within the Community sector for over 5 years.